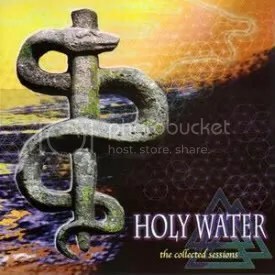 Holy Water is a melodic rock/AOR band that I had never heard of until this album was passed along to me by Perris Records. According to the press release, the band is made up ex-players for Quiet Riot, Doro Pesch, Widowmaker and Saraya. So The Collected Sessions is a compilation of their works going as far back as 1982 and running up to current years. It’s been very tough to find any information on this band, so I’m not sure if any of these songs ever had an official release before now. Near as I can tell, the first three tracks were part of period of recording called The Green Sessions. Due to the nature of this album, there’s varying levels of production, though “Living For The City” is the only song where there’s a noticeable (slight) dip in quality. It’s a shame it appears the band never had a full-length release at some point. The band delivers some fantastic songs like “I’m Not Worried Anymore” and “If I Knew Then…” and everyone owes it to themselves to check out the self-explanatory “MonsteR Iff”. Amazing instrumental that shows displays some great guitar work and shows the band could do more than AOR songs. There’s two versions of “If I Knew Then…” here. I’m not sure when either was recorded, but I’m enjoying the second version a lot more (though I like both). There’s a harder rocking edge to it. The only song that’s a heads cratcher is their cover of “Crocodile Rock”. Track 9, “All I Need”, was curiously left off my review copy. Anyone with a passing interest in AOR would be well off to add this album to their collection. AOR is usually a tough sell for me, but I gotta say, this is one of the betters bands from that genre and The Collected Sessions has been one of the most listened to albums of this past week for me. I’ll definitely be keeping an eye out for any new material the band comes up with or any older material that gets released.